Saturday mornings in Rochester are known for the Rochester Downtown Farmers Market, and it is not just in the summer. The winter Farmers Market is indoors every other Saturday from November through April at the Olmsted County Fairgrounds in Building 35. At the center of the market is a mobile espresso/pastry shop called Le Petit Café. All drinks are espresso-based and of a European tradition. Deirdre Conroy, owner of Le Petit Café, is not only passionate about good coffee, but also good food. She prepares her pastry selections with fresh, seasonal ingredients from her local farm. She has extensive training and experience from around the world as a pastry chef. Her mobile cafe is a must stop shop for summer or winter. Nestled on Broadway between Historic 3rd and 4th Street South, Café Steam provides downtown culture with daytime meeting space for business professionals or casual friends, and nightlife with musical performances and open mics. It also supports the arts with space for showcasing artists’ work. What Abe Sauer started on a Dutch-style tricycle cart is now in a little house off 7th Street next to Cooke Park. Old Abe Coffee Company offers a variety of unique drinks, like the Old Abe War Eagle or Apple Pie in a Cup, and a selection of vegan/vegetarian food. This coffee shop is unlike any other, with a playroom for children and a reading room for adults. It is quaint and intimate, welcoming and creative. It is inspiring for the artist and the imaginative. Abe’s sister greeted me as soon as I walked in the door, and behind the little kitchen, she concocted an Ice Zumbro—an iced blend of coffee, cinnamon and hazelnut with chocolate almond milk. It was amazing! St. James Coffee has a different mission than most coffee shops. As a response to a new form of evangelism, it seeks to provide a safe space for sharing the Christian faith through community, food and coffee. A nonprofit establishment, St. James relies on volunteers to work as baristas, as well as donations to help support the local Christian coffee and tea companies it serves. St. James has a peaceful, inviting atmosphere. I enjoyed listening to live local music one Saturday night while sipping a chai latte. The family-friendly environment was inviting and calm. I was welcomed even though I didn’t know anyone, and I felt at home even though I am not from the Catholic faith. When Patrick Phelan attended his sister’s opening of the Root Cellar, he fell into conversation with those working in the coffee shop at Forager. His passion and experience in specialty coffee, along with his wife’s, aligned well with the team at Forager, and before they knew it Fiddlehead Coffee Company was born. The couple moved to Rochester from the Twin Cities to make their dreams come true. Now a four-person ownership between Patrick and his wife, Samantha, sister-in-law, Sarah, and brother, Sean, their mission is to create a space of community where love and unity can grow. At a time in our world where so much is separating us, their passion is to bring people together. To provide a sense of belonging to anyone who walks through the door. To remember their customer’s names, and even what may be going on in their lives. That is just half of their mission though. The other half is providing locally grown, organic, fresh food and world-class coffee brewed in-house. I had hands-down one of the best scones I have ever had as I sat writing this article. I sat at a tall table in the corner and was able to observe the variety of people circulating around the coffee shop on a Sunday morning. From families to individuals to friends chatting, this coffee shop provides comfortable workspace, handcrafted tables and even a living-room-type atmosphere to relax in. 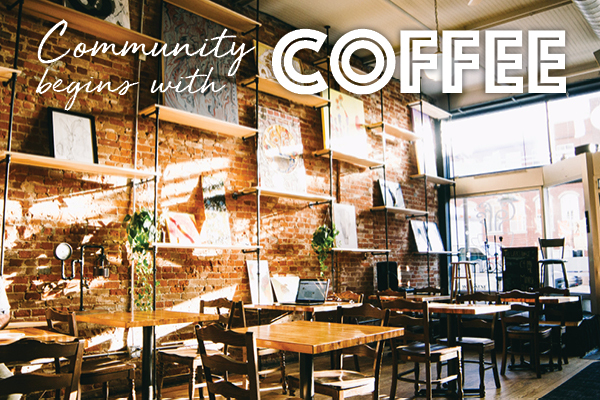 Whether you are looking for a place to meet up with a social group, a spot to chill after a long, hard day at work or a place to bring family, these coffee shops around Rochester have something to offer the community. I had an amazing time exploring them when I first moved to Rochester, and I hope you do too.